Colorado Springs, CO (May 15, 2018)------ The Broadmoor Pikes Peak International Hill Climb, brought to you by Gran Turismo, is pleased to announce the return of Matchsports for their second in a 10 year contract to broadcast ‘The Race to the Clouds’ live on Sunday, June 24th, 2018. 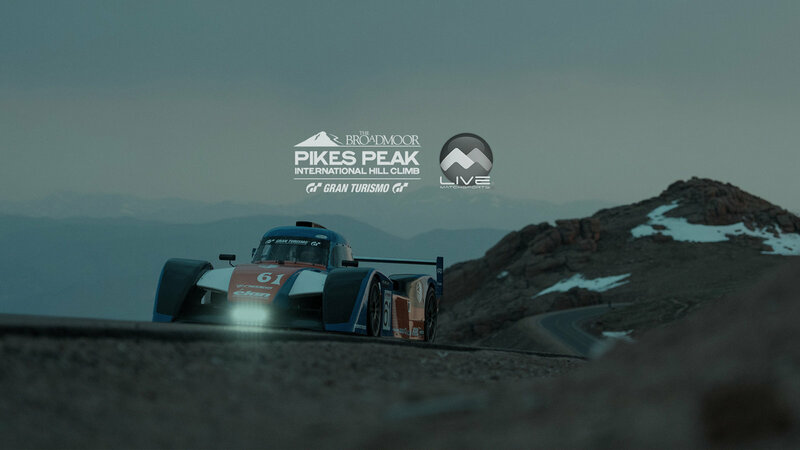 “By bringing new and better technology to Pikes Peak, we can offer fans a more intimate understanding of the race as we celebrate the LIVE era through a new Pay-Per-View (PPV) experience. Proceeds from the $4.99 subscription will be reinvested, bringing tomorrow’s production to the hill today, and we know race fans will embrace this opportunity to say they were a part of making it happen." This year’s 96th running of the Broadmoor Pikes Peak International Hill Climb will be a major focus on the Matchsports global calendar. One long-term goal is to attract an additional partner, possibly a major TV network, to assist in sharing the race with new audiences worldwide. MAR 10, 2017 - The 'PPIHC/Matchsports' Partnership Grows Steadily as the Event Counts Down to go LIVE. Just three months after it was announced that the Broadmoor Pikes Peak International Hill Climb (PPIHC) will be broadcasting this year's event live to the world for the first time in 95 years through a 10-year agreement with Matchsports, crews are now on the mountain building the infrastructure, laying cable and placing cameras to bring to life this vision of a live stream for competitors and fans alike. Supported by the experienced hand of the PPIHC management team and cooperation of the entire stakeholder community, Matchsports is implementing their custom "end-to-end" solution to overcome many of the inherent terrestrial challenges presented by America's Mountain. Matchsports' CEO James Kalogiros says, "During our planning and preparation process the entire PPIHC organization has proven to be an outstanding partner. Their effortless support in helping us navigate through the challenges of the mountain has been a testament to their commitment to making this live stream a success." Never before has a production company achieved a successful High Definition Live Action broadcast of the PPIHC, from the Start Line up to the 14,115-foot summit. Extreme efficiencies are required through the entire production ecosystem, from a robust network for efficient connectivity, to quality built world-class production and greater audience accessibility. Covering this one-of-a-kind event is so unique that the production infrastructure had to be custom designed with layers of technologies & efficiencies; hence no real comparable Matchsports production exists to date. Veteran action sports anchor and travel adventure TV host Ramona Bruland will be accompanied by former racer and PPIHC board member Frederick Veitch to commentate the live stream to viewers, follow race day events and track each competitor's ascent up the mountain. Also assisting with the commentary, regular updates and interviews from both the start and finish lines will be the overall motorcycle course record holder, Carlin Dunne, and former racer and journalist Don Canet, both Race Smart coaches with the Squadra Alpina Moto Coach Program. Viewers can expect to see footage of each car on course from the 22 cameras placed along the track, as well as exciting helicopter footage (weather permitting.) Viewers will also get to see a course overview, POV footage from Carlin Dunne's safety run, driver and rider interviews, leader board and weather updates, segments with special guests and a look back into race history, plus hear driver bios, timing updates from all three stages, average speeds and overall standings throughout the day. Viewers can tune in to live.matchsports.com/ppihc.html to watch the broadcast LIVE on Sunday, June 25th, starting at 7:30am (race delays may occur.) There will be a simple email sign-in process required to access the free to net broadcast, which will continue until the race program has been completed and cameras follow the Parade of Champions down America's Mountain. If fans miss watching the event live, there will be a second viewing available at a later date.